Valentino Rossi has targeted a 300-point haul to win back his MotoGP world championship crown. Rossi is still smarting after throwing away the title when he crashed out of the last round decider with American Honda rival Nicky Hayden in Valencia. 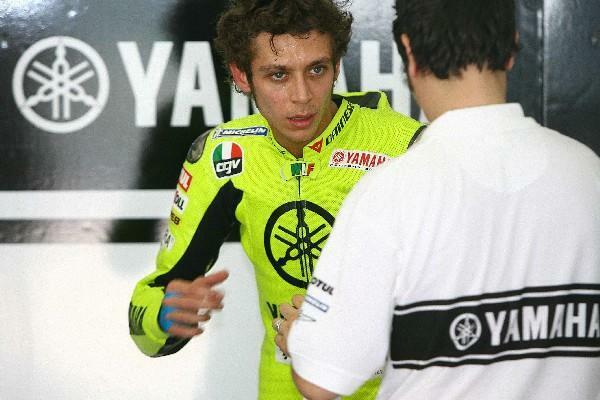 Rossi led the series by eight-points going into the showdown with Hayden despite surrendering a mass of points with some cruel mechanical failures. Plotting how to win back the title and claim his eighth world championship success, Rosi said: “I want to calculate always about the amount of points at the end of the year. “I am able to make more points than last year for sure. In 2006, I scored 65-points or something less than 2005, but also 35 or 40-points less than 2004.